Kathryn worked and Frank DJed at Ochre Court during college, so they held their rehearsal dinner there. 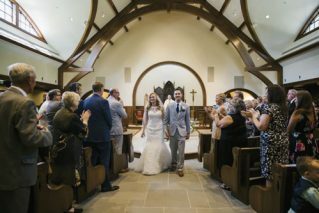 The bridesmaids wore navy blue to match Salve’s colors as the couple tied the knot on campus. 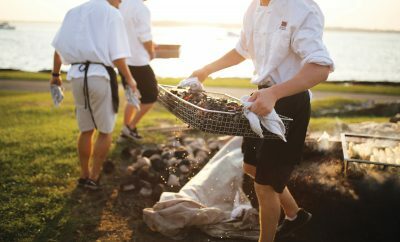 Hotel Viking continued the color palette with nautical and Gilded Age touches as the children colored Newport-themed pages, and the blue-and-white cake included roped tiering. 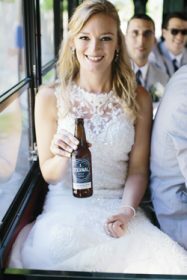 The couple loves craft beer, so during the trolley ride to the Viking Frank surprised their wedding party with a custom brewed and labeled New England IPA titled Eternal. 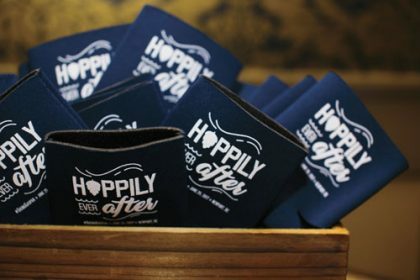 The beer went perfectly with nautical-detailed “Hoppily Ever After” beer koozies to take home. 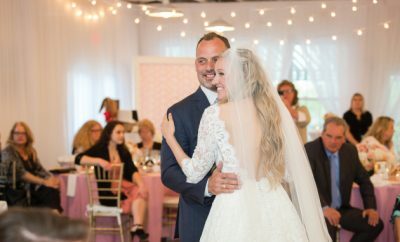 After walking down the aisle with her father and seeing Frank for the first time, one of Kathryn’s favorite memories was arriving at their cocktail hour. Family members came from Texas, California, Utah, Hungary and China to celebrate. Kathryn says she felt both humbled and lucky as their closest friends and family cheered when they entered the courtyard. 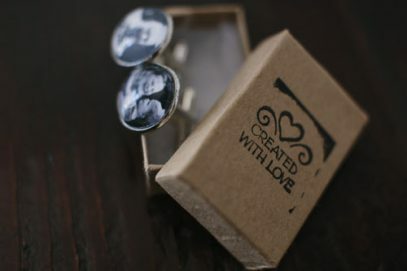 The guests were invited to write advice and place it in a bottle for the newlyweds to read on their first anniversary. 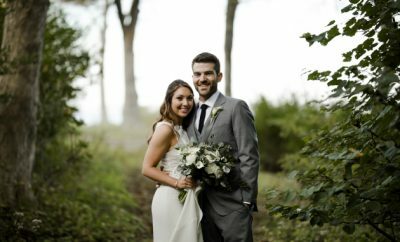 After enjoying their honeymoon in Grenada, the couple returned to their home in Warwick, where Kathryn teaches English at the Rhode Island Nurses Institute Middle College and Frank is a graphic designer for CVS.